A brand which I've loved year after year is Marc Jacobs. Apart from the obvious fact that their packaging is like no other brand, its bold, different and super cute, their perfumes are right up my street. A few of my favourites are Honey, Daisy and Daisy Dream, though I am yet to find one that I don't love (and probably want to eat too!) 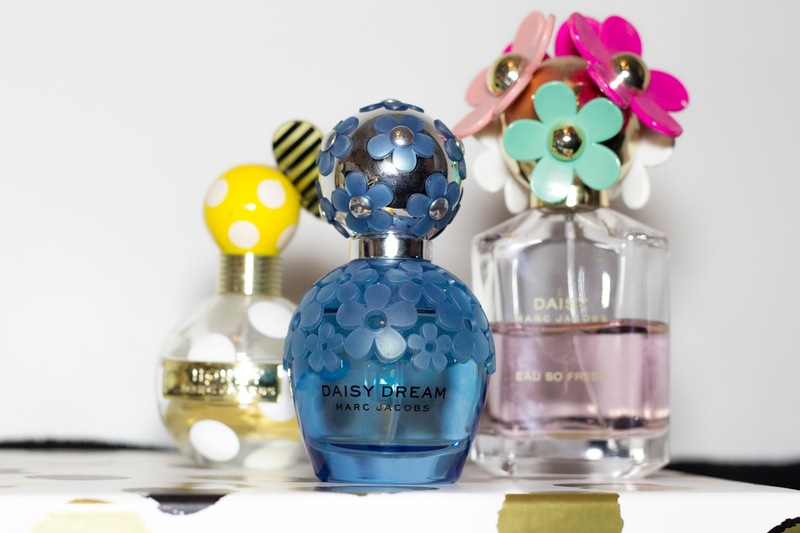 Honey is described as "Sunny delicious floral - energetic and alluring", while Daisy Dream is compared as "Light and airy, and both floral and fruity." All with super sweet smelling scents with long lasting effects that make heads turn! An unexpected love, I stumbled across Valentina by Valentino, whilst browsing in an airport, and instantly fell in love. 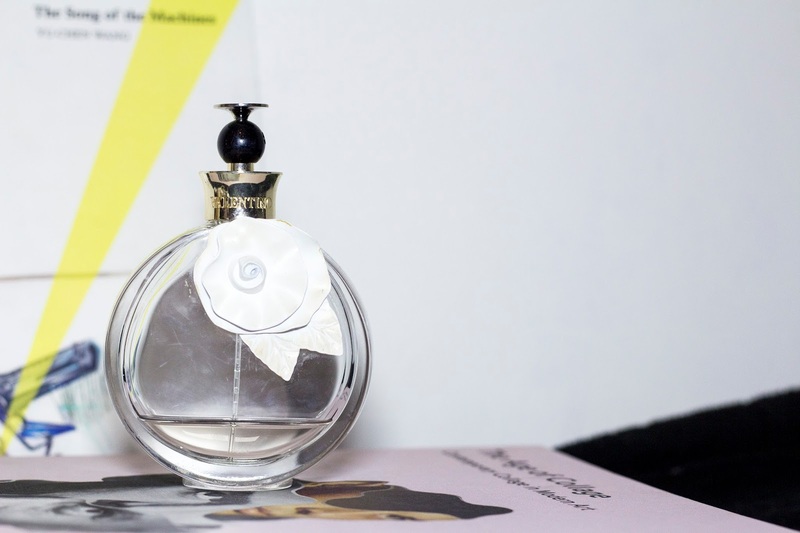 I am usually drawn to sweet floral smells, however this classic yet modern smelling perfume, while still being fruity has hints of other more musky smelling components which to my surprise made me instantly want to try it out! With hints of jasmine, orange blossom, white Alba truffles and wild strawberries, this scent is a must for any of you looking to try something new, and a little more grown up. Don't want to splash the £££? 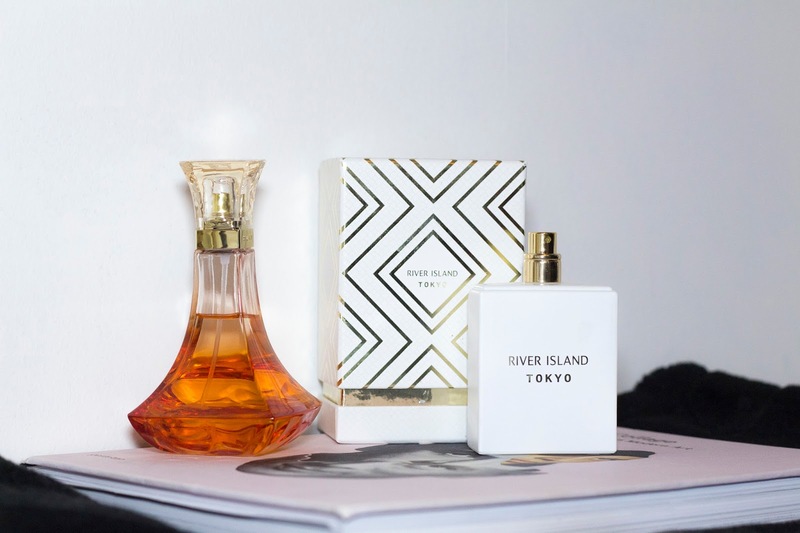 A few bargains that I've tried, tested and loved recently are these two beautiful perfumes. Unlike the others mentioned above, which range from £50-£70, these retail at under £20, and still smell amazing! I had tried a few celebrity perfumes before, including Rihanna, SJP and Beyonce, so when I got Beyonce Heat Rush for Christmas this year I was over the moon, as I knew I would love it! Inspired by Brazil, this beautiful scent contains Passion fruit, blood orange and Brazilian CherryHeart, Yellow Tiger Orchid and Mango Blossom. And finally, a super cute gift from my boyfriend is this River Island perfume! I picked it out myself after smelling a few of their perfumes at the till, and I have to say, it's within the top 3 of my favourite perfumes of all time! At only £12, the design is super modern, the scent lasts for hours and its totally worth the small price tag! The top notes are "floriental, white flowers and vanilla with a musk with fruity essence" Sounds amazing, right? I might need to try some of these!